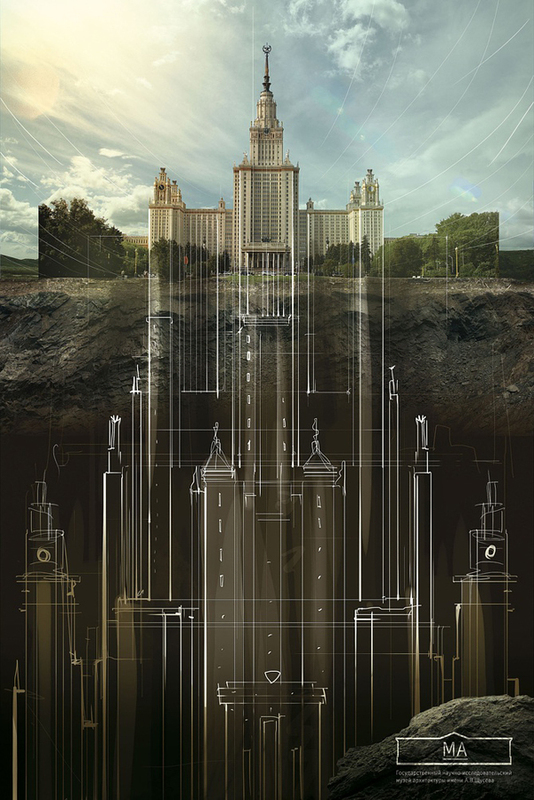 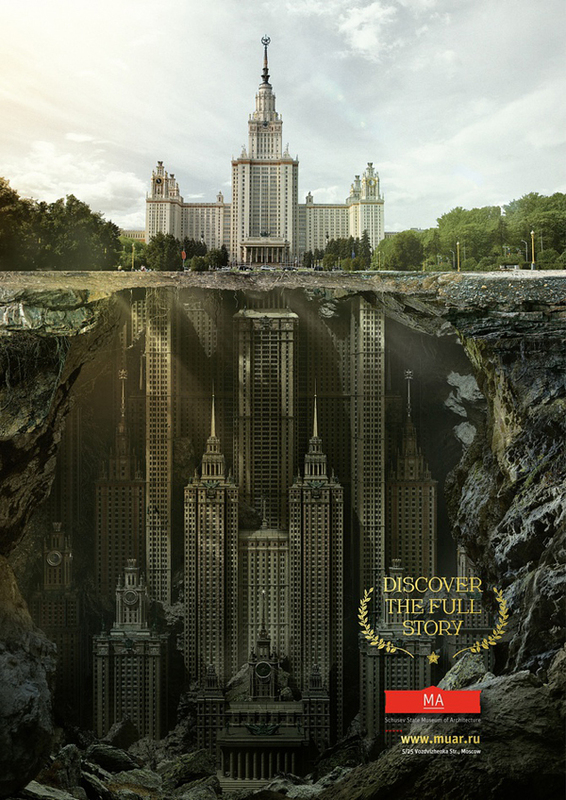 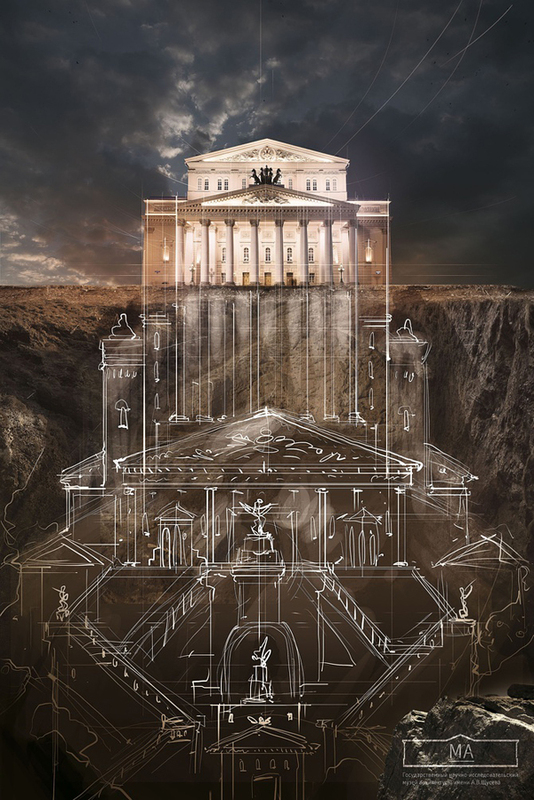 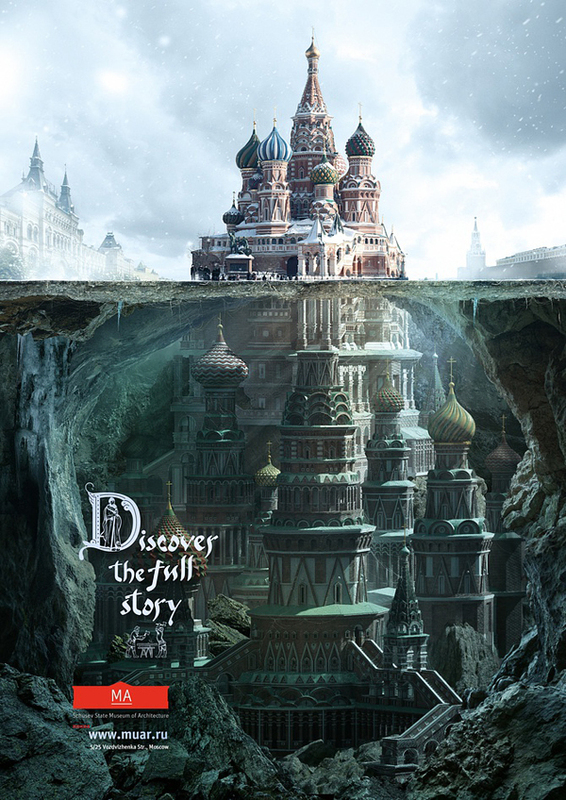 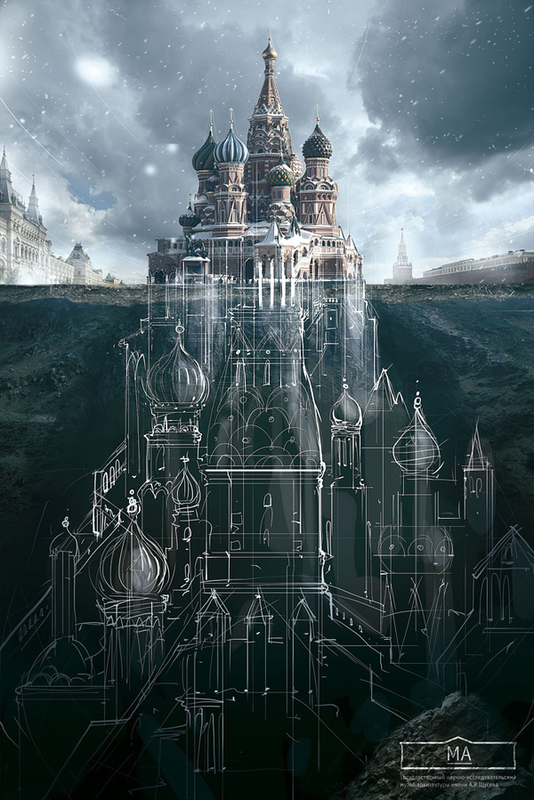 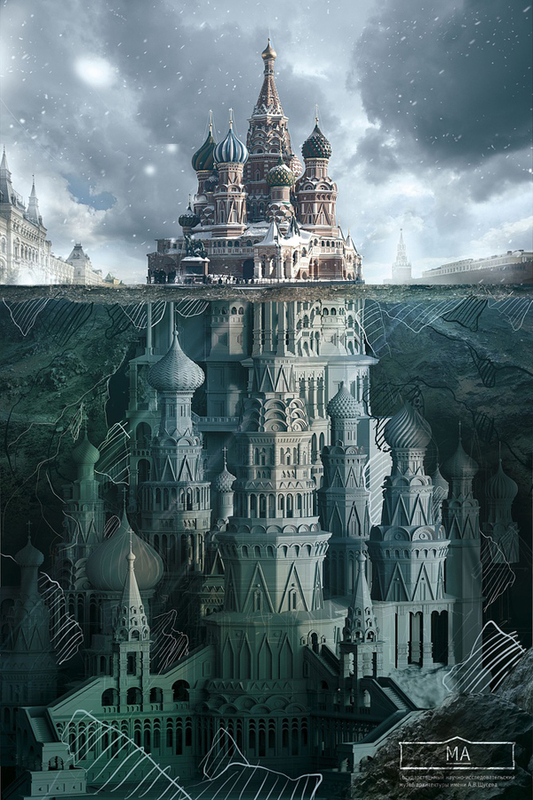 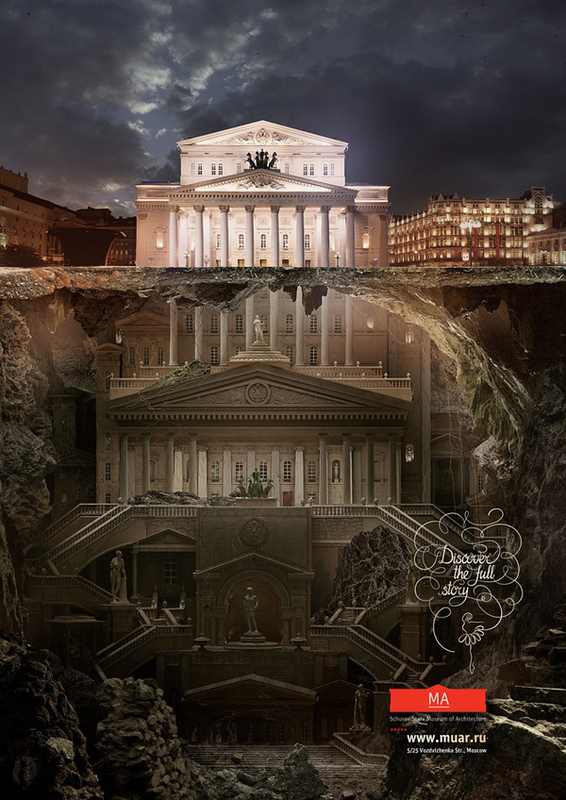 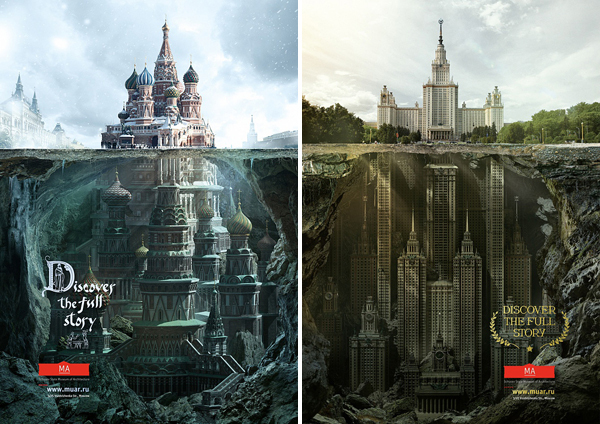 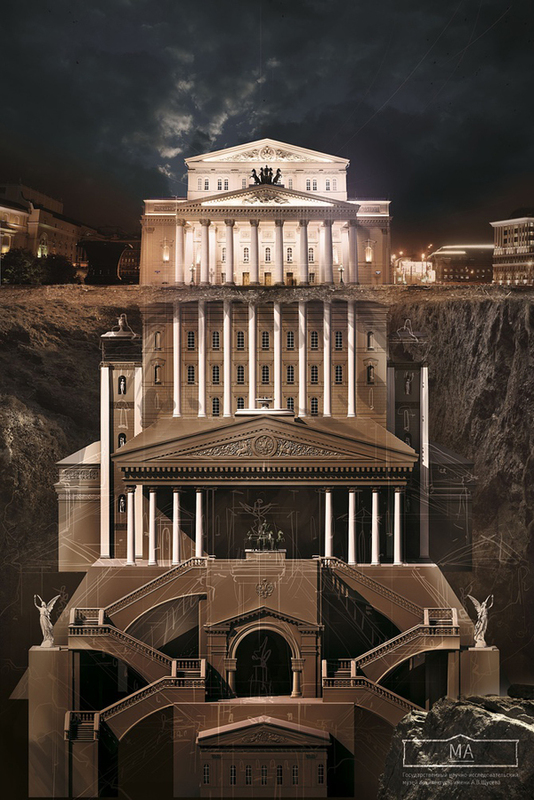 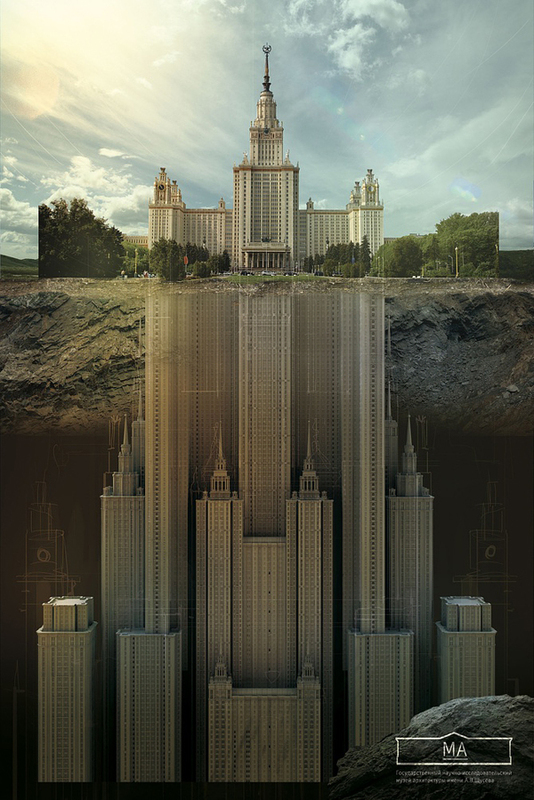 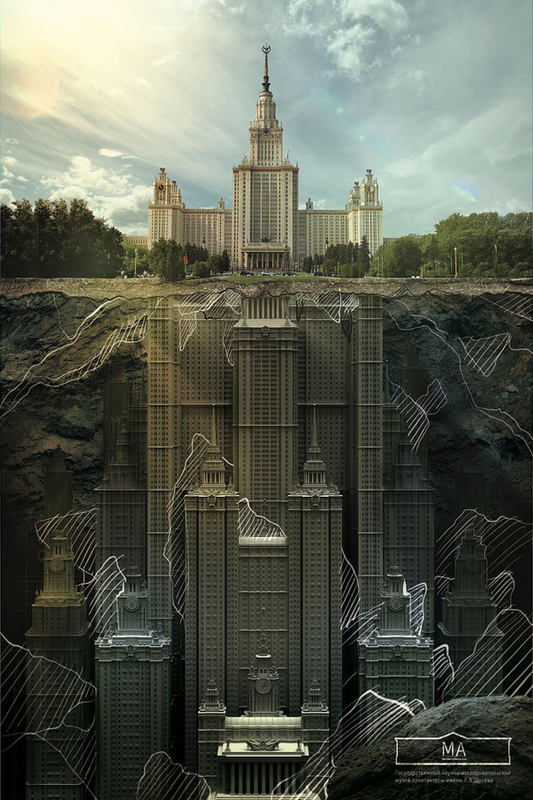 As a part of the project “Discover the full story”, creative agency Saatchi & Saatchi has developed an advertising campaign for the Shchusev State Museum of Architecture. 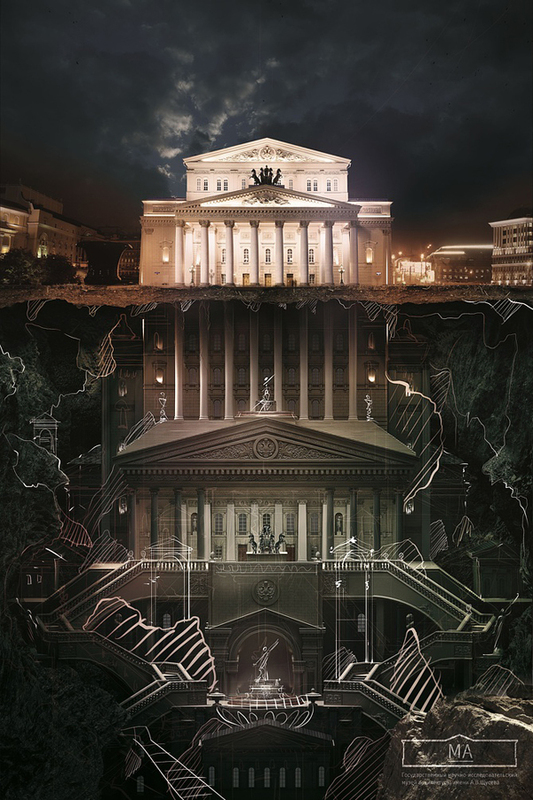 The aim of this campaign was to make this museum known for the wide audience of people and raise interest of Muscouvites and tourists to the architecture of the city in whole. 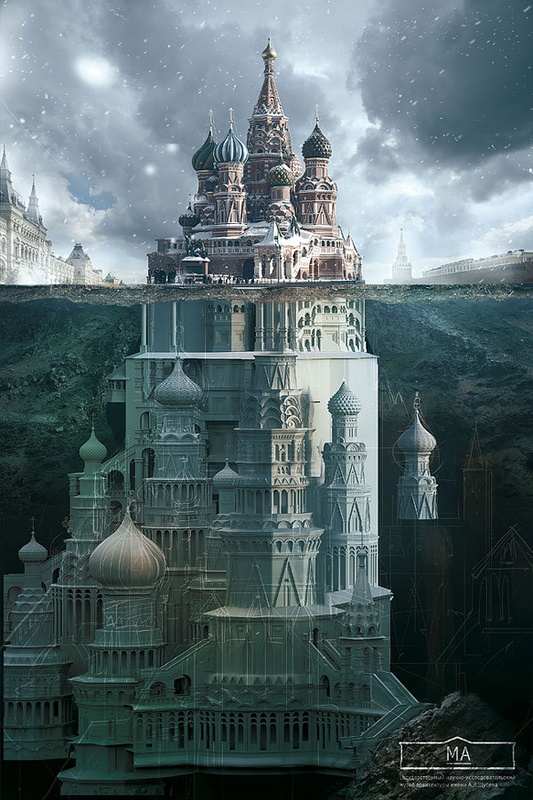 The images demonstrate that real history is hidden behind the front of each building, and all what we know about it is only the top of the iceberg.